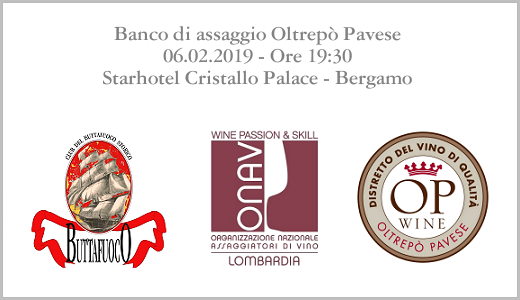 ONAV Lombardia and Distretto del Vino di Qualità dell’Oltrepò Pavese have organised a grand tasting focused on Oltrepò Pavese Metodo Classico, Bonarda and Buttafuoco on Wednesday, February 6th 2019. The tasting, hosted in Bergamo at Starhotel Cristallo Palace, will be open from 07:30 pm to 10:00 pm. We will present our Metodo Classico sparkling wines and Bonarda Vigiö. If you want to register to the tasting, please visit ONAV website.